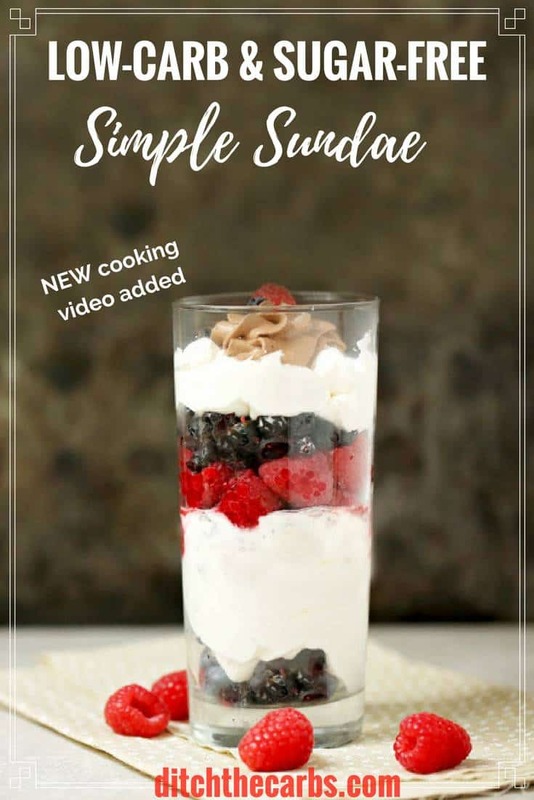 A simple low carb sundae with layered raspberries, blackberries, chocolate cream and whipped cream. It’s a much better option than a McDonalds strawberry (?) sundae which has 46.7g carbs and a whopping 43.5g sugar! UPDATE – scroll below to watch the quick cooking video just added. Imagine eating almost 11 sachets of sugar! 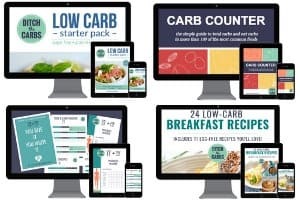 When you can really visualise how much sugar, fast food desserts contain, it is staggering and puts you off them for life. McDonalds sundaes also contain Glucose Syrup (derived from maize, contains sulphites) Vegetable Gums (412, 407, 407a, 466), Emulsifiers (471, 433), Flavour, High Fructose Corn Syrup, Acidity Regulator (330), Thickeners (440, 410), Flavour, Preservative (202), Colour (124), Firming Agent (509). Hmm, no thanks. 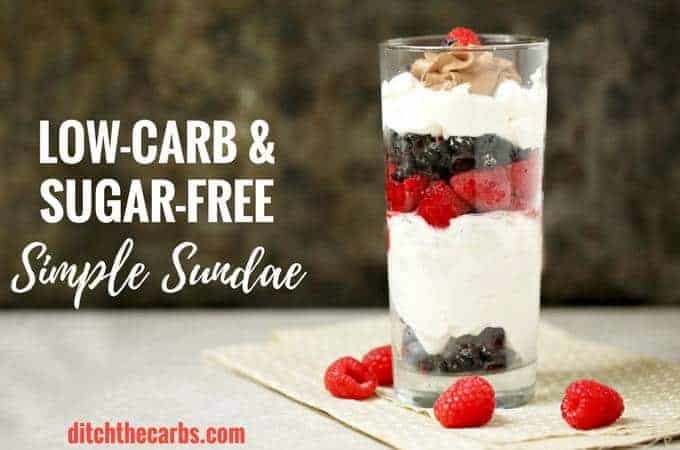 Yummy combination of chocolate, cream, raspberries and coconut make this simple low carb sundae a winning dessert. Easy to whip up after a meal. Whip the cream and sweetener together until quite firm, but do not over whip the cream, or it may split. Choose wine glasses or tumblers and start to layer the whipped cream alternately with the raspberries, blackberries and shredded coconut. Continue to create pretty layers. Reserve some whipped cream and stir through some cocoa powder. Top the simple low carb sundae off with more berries and the chocolate whipped cream as shown in the video. What does 500 ml mean? I’m in the US – Please speak American – not European. What do you mean by granulated sweetener? I’m new at this. Can you replace the heavy cream with coconut milk or coconut cream? Absolutely! Whipped coconut cream is amazing, low in carbs and a wonderful healthy fat. You may call it heavy cream. Tasted pretty darn good too. Maybe next time I’ll add some dark chocolate on top.